"Show me your friends and I'll tell you who you are", said a traditional saying and today we will look into what songwriters have to say about their own friends, through their songs. A song from the homonym album in 1968. It is a waltz that was also released as a single without meeting great success. It has been used as an example of writing in 3/4 tempo for the students of Berklee College Of Music. One of the classic, slow songs by the popular duet, from the album Bookends (1968). Everything here is discreet, from the classical instrumentation to the plain performance. After the Beatles broke up, Lennon and McCartney exchanged heavy words through the press, as well as through their solo albums numerous times. This song is a reconciliation effort by Paul McCartney. From the first Wings album, Wings Wild Life (1971). 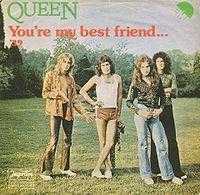 A great song by the Queen bassist, John Deacon, which was included in the masterly A Night At The Opera (1975) while it was also released as a single. It was written on a Wurlitzer, an instrument Freddie Mercury strongly disliked. This song was written while the Beatles were recording Sgt. Pepper’s Lonely Hearts Club Band (1967), mostly by McCartney, especially to be performed by Ringo Starr. The nice drummer was really popular among the band's fans and the others would see to it that in every album of theirs there would be one of his performances. The old friend in the title is George Harrison, to whom Eric Clapton had been very close. Not even the love of the latter for Harrison's wife, Patti Boyd, was able to break their friendship. From the album No Reason To Cry (1976). The sixth and last single from the enormous second studio album by Amy Winehouse, Back To Black (2006). A vintage feeling and instrumentation run throughout the project. A wonderful, slow and melancholic song from the third album by the illegitimate daughter of Ravi Shankar, Norah Jones. Not Too Late (2007) has been very successful and marked the beginning of the songwriter's effort to open up to new horizons. A wonderful mid-tempo from the sixth, double album by Ryan Adams, Cold Roses (2005), along with The Cardinals. 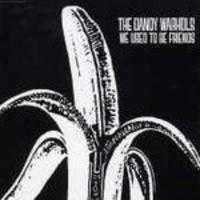 A single from the fourth studio album by the Americans The Dandy Warhols, Welcome To The Monkey House (2003). Influenced by Day In Day Out by the Feeder, the song did not do well at all on the charts but was very popular back when it was released. * Photos from http://olaeinaithematiming.files.wordpress.com/2008/05/castoffriends2.jpg and www.wikipedia.org.